A Central Inbox is crutial for GTD fanatics like myself. Any new task should end up in this Central inbox and from there it can be directed to the correct Space, project and list. I agree with Pascal that a central inbox is needed as a repository for incoming tasks that need to be processed. I have found that creating a space called inbox, with a project called inbox, and a list called inbox, has served this purpose for me. I mostly just use it to send tasks to ClickUp via google assistant (I'm not a fan of the integration ClickUp has for google assistant so I don't use that). I have found I don't need a central inbox for anything else. The chrome extension works beautifully for adding tasks to ClickUp right into the space, project & list needed, so no need for an inbox for emailing tasks. Is already known when it will be available ? @Marcin Dryl: When Clickup 2.0 will be released. I expect it at the end of April, as in last update e-mail it stated there will be no updates for 60 days. Please take a look at Sunsama. Similar to the weekly calendar view that Clickup already has, but they make it a Kanban board where each column is a date. Maybe add another view that is called Kanban when looking at the calendar. It would eliminate the need for me to subscribe to a second platform and make it easier for me to see my tasks by day. To give more context, the board seen above is more related to "Start Date" rather than "Due Date". @Tanner Chung: I really think this could be very useful. In our organisation there is a big difference between due dates and the dates you plan to work on a task. Being able to support both (and even split a task to be worked on across the week) would be great! @Tanner Chung: This would be awesome. I usually don't need tasks to be scheduled at a specific time of the day, but I'd love to be able to drag a few tasks in that I plan on doing that day, but can easily move them to a different day if I change my mind or don't get to it. I'd also love to be able to "just" schedule them for my week, but not necessarily use that date as the final due date. Would be great if there was a dedicated page/view specifically for “Today” that incorporates tasks and projects across all spaces. agree! and showing also task and projects which are after their start date and before their due date. This relates very closely to Calendar V2 Sync, but I would imagine that there is a 2-way sync. Things that I have added to one of my own synced calendars would show up in Inbox as well, from there I can categorize them and treat them as a task. Absolutely agree. This is especially true if you have a follow up email that you want to quickly send to this Central inbox so you can categorize, rank and plan for when you will work on it. Please ignore if it's been mentioned, but please also update the android widget so it can show the inbox instead of just a single list. Can you please add an InBox as a default central collection point. 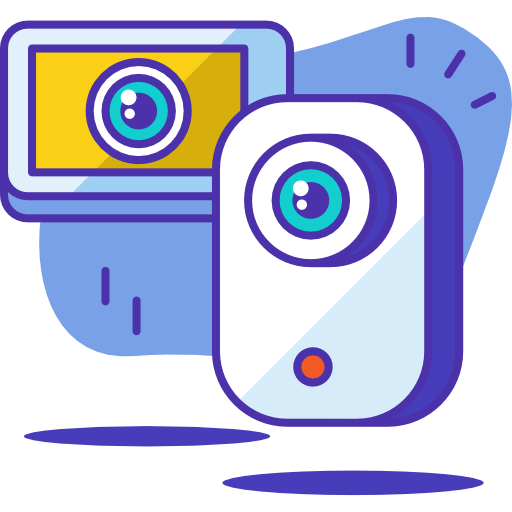 This would work nicely with the already awesome Google ClickUp extension so that emails, web pages and other media clips can be captured and later processed effectively. I would love the new Inbox to be implemented on the Android/iOS mobile version of Clickup in the coming future, but with the ability to remember the toggle setting for the filter of the collection of new, unassigned incoming items, aggregated for further processing. I like the Android version of the time view and would love to see improvements, not drastic changes. I just logged in to Meistertask, I used this some years ago. I do like their homepage. It lists in a couple of columns the reminders/notifications, the upcoming tasks for today/tomorrow/overdue. 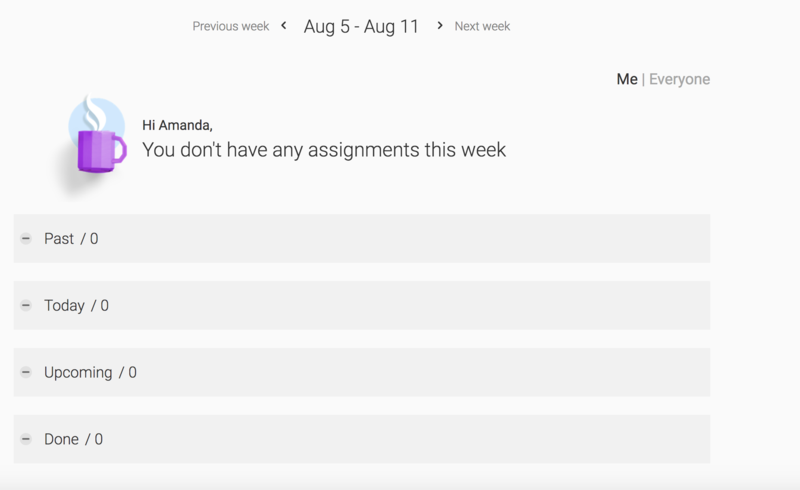 It would be great if inbox could do this as dashboard function, but also incorporate a central tasks inbox, that can be assigned/moved from there to other boards. Thinking about the postpone/snooze option that you mentioned below, I think that is great to clean up the day tasks you have. I would not mess with the due date (or set that as an option), but rather would create a 'postponed' status. @Zeb: Per my survey feedback, I felt the need to post it here for everyone's acknowledgement and consensus. Thanks in advance for your consideration! First off, I'm concerned ClickUp is approaching its "Inbox" in much the wrong manor. In almost any productivity paradigm you look at, it's plain to see that the Inbox is for the collection and display of new, unassigned incoming items, aggregated for further processing. That's it. That's the classic use-case, and it has become the cornerstone of most every productivity system and product since the dawn of the concept. Don't get me wrong; I like how ClickUp has re-worked some necessary areas where other products fall short, but this is one area where you shouldn't try and reinvent the wheel. Inbox shouldn't be a view that also mixes in tasks that have already been processed and filed (with Start/Due dates). That should be a separate list called "My Tasks", "To Do" or equivalent, akin to Todoist's "Today" and/or "Next 7 Days" views. If you do choose to display them on the same screen/viewport, then please do so in a grouped or segregated manor, perhaps with Inbox at the top, then "To Do" beneath, ordered and/or sorted by however the user desires. Additionally, the intent to create a separate "Reminder" data type to be used in the Inbox only is, in my opinion, a confusing and friction-causing substitute for just simply allowing the user to create a normal task with no specified List, assignee(s), due/start date(s), and/or any other metadata, which would then automatically land that task into the Inbox by simple virtue of lacking a List designation. Super intuitive, and no friction. 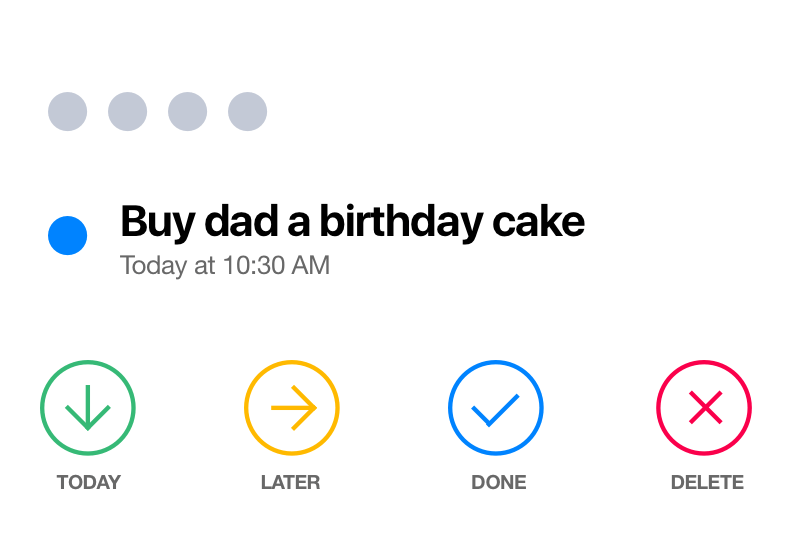 Regarding actual reminders for start/due-dated Tasks themselves, I would argue you should focus on proper display of and interaction with that reminder data elsewhere in the app, ala appropriate pop-overs, sidebars, and/or an "Agenda" list view in the Time section, all consistent with current ClickUp UI. This would be a better implementation, versus an isolated data item in a place where it really doesn't belong. In closing, please consider adjusting Inbox back to the simple, usable, focused space it should be, and amending your actual reminder and date views/functionality elsewhere in the app. Thank you! Especially "ordered and/or sorted by however the user desires" + filtered + aggregations : that shall be part of the design concept or pattern for all the features, views etc. c) even my preferences change. @Zeb: A follow-up thought that I'm sure the team is aware of but I think bears bringing up: disconnected and/or workaround feature creep. The notion of creating a separate bolt-on to augment for lack of implementation in the main part of the product. 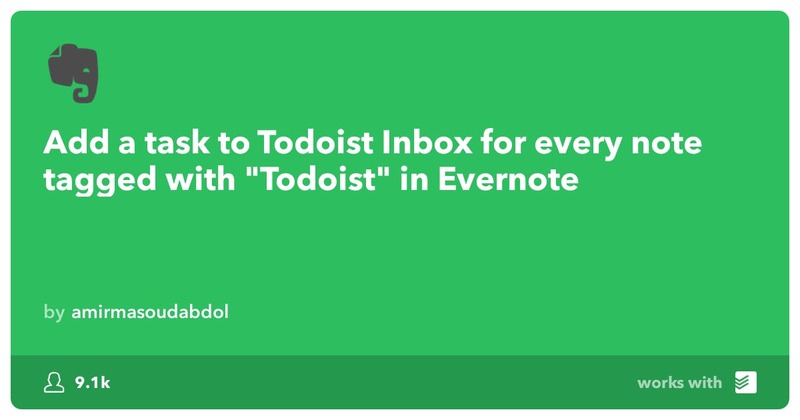 A perfect and unfortunate example of this is my old todo app, ToodleDo. It ended up with all these ancillary sub-apps, which on their own seemed useful (Notepad, Goals, Journal, Behaviors), but were built out in such a disconnected manor that the sum of the whole was no better off than the individual use of the parts. You can register a trial account there to see what I'm talking about in more detail if you desire. I would hope ClickUp will avoid this kind of build out, but I can see this kind of thing starting if you're not careful. Thank you again for listening, and all the best going forward! @Trip: Yes, same opinoin here; the Inbox is meant for new non-classified tasks/notes/picteres/anything else for which you still need to determine if it requires an action, can be deferred, needs to be archived/filed. put on a waiting for list etc. Keep it simple!! Clickup is becoming to complex!! @Zeb: I'm very interested in the feature being described in the survey, I just think it shouldn't be called 'Inbox'. An inbox is a place where you can quickly collect your ideas for later sorting. An Agenda in a view of what's due or going to be worked on today or in the near future. @Trip: @Géza Molnár We hear you completely! But the reality is, we see our version of Inbox as something more than just GTD. We also only see a relatively small percentage of users interested in the strict traditional GTD approach. Our surveys, so far, have shown that people prefer (8 to 1) an Inbox with their tasks for today as well as a place to quickly add reminders and categorize them later. We'd rather take a chance at building something we feel is better for the vast majority of users and use cases, rather than going with the traditional approach. But we greatly appreciate your feedback! PS: We still believe **most** of the GTD structure will be there, when you use it. The only difference is that your items for today will also be visible with your uncategorized items (but you can filter to change this). 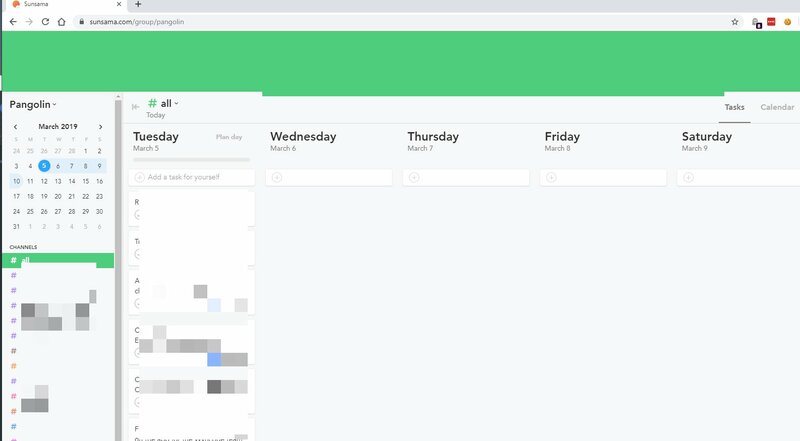 @Trip: We really need a way for people to see their tasks at hand for the day, as well as their schedule for the day. This is our biggest use case we need to solve. We feel that solving that, plus a completely separate Inbox feature, is in itself, complicated. Putting them together as one place where you go to see what you have to do, is the simple approach in our view. And from the survey, we got 480 responses, showing that this is what people want. Only 3.7% didn't want this. @Zeb: I see, fair enough. :) I assume I probably interpreted some of the survey incorrectly and was perhaps overthinking it. Considering how well everything else fits together in ClickUp, my default feeling is Inbox will as well, and I'll probably see the immediate value of what you're doing as soon as I try it for the first time. Looking forward to it! @Trip: I think you'll end up liking it, but time will tell! The vast majority (8:1) prefer the _features_ that you described, and that's cool. I give you a +1 for those, too. Though, you may consider to give a 'proper' name to that new view, e.g. something similar that you wrote below "tasks at hand for the day" or "tasks for today". And one day, maybe, you deploy a 'real' Inbox view - or provide a flexible view setting+save feature and we can create that for us... and maybe, share that view with others on the Clickup view-template store (for free, of course). If I tag 'Today' on the tasks I want to work with and filter on the 'Today' tag, isn't that the very same as "tasks at hand for the day"? @Trip: Great feedback! I wholeheartedly agree 100%. @Zeb: We need the inbox of things to be adjusted and also the Any.do's "Moment" for things scheduled for the day and that need better monitoring. If it worked the same as the "Moment" of Any.do on Android devices would be perfect. But Moment is not a Inbox! 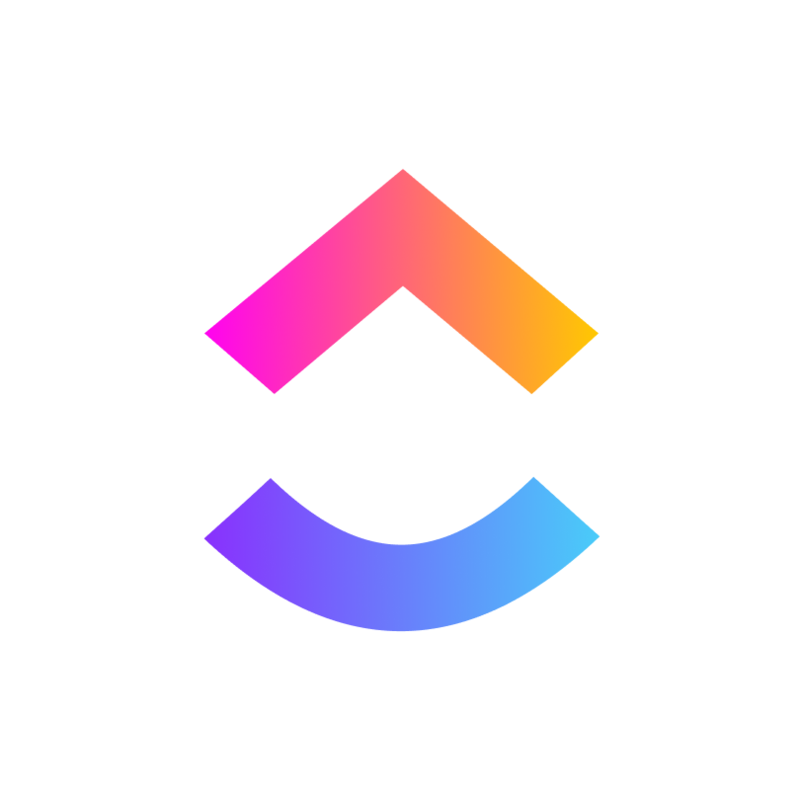 I've recently tested personal productivity apps like Any.do and TickTick, and they have one great feature that I think could make ClickUp even better. In Any.do, you can initiate a Moment that takes you through all of your tasks and asks you to schedule them, mark them as done, or delete them. I think it would be great if ClickUp had this kind of workflow as well. Some tasks are collecting dust in forgotten boards and it would be great to find them and update them, or archive them. It would also make it a little bit easier to get team members on board with ClickUp, I think. It would be nice to have a sort of customizable filter or Clickapp where the user can set a custom timelapse for the morning, afternoon and evening. All showing in a sort of Today view. This would let us divide the day into three different parts: morning, afternoon and evening. and partition the tasks depending on when we want to complete them. This implementation would benefit people that feel overwhelmed looking at their daily todo list: dividing the daily todo list into smaller parts makes it less overwhelming. The feeling of overwhelm is important to manage as it can keep us from getting started. Breaking the daily todo list into three parts also creates mini-deadlines for the tasks which can feel motivating for some people and help procrastinators notice early on when they are pushing things off. Assigning tasks to specific parts of the day also force people to think about the energy and focus levels throughout the day. My supervisor uses custom columns this way: Open, This Week, Today, Review, Closed - kind of a weekly sprint. That's not natural for many projects and processes. His goal is to see the daily and weekly tasks and have a starting-point for monitoring/follow-up. I would like to use columns based on the very nature of each project/process AND give him the organisation and monitoring tool he considers good enough. Does my feature question belong here? Maybe. I like to plan my day in "Time view". This tells me which task to do at what time, and what is coming up next. So far I have not found, or I am blind, a way to drag and drop open tasks easy into the "time view" calender. I have to look at them all. Change due dates accordingly to have them appear on top of the calender, correct? Is there any easy way to see all open tasks and drop them into a particular day? Or would that be the wrong approach? Basecamp has a really nice HEY section with notifications to look at. Great to hear this is in the Planning phase! Sounds like a central widgetized dashboard/Inbox may soon become a reality? Aside from having due dates and start dates, it would be great to have a kanban view of what is going to be done the day of or your week sourcing from any of the workspaces, projects, or lists that are available. It would be great if it was possible to create a task without having to fill in all the necessary fields from the start. Sometimes I need to just jot something down quickly and then turn it into a task and link it to a project. @Cody: @Zeb I need a solution for time-blocking, too. @Denis: @Cody: @Tomasz Banas We'll share some progress next week as well as survey to make sure we're on the right track for most use cases. We have started development and are determining scope as we go. @Denis: Re: Time blocking: Aren't you using the Time (calendar) feature to drag Tasks into your calendar? Time blocking is built in to CU, don't you think? @John Tarnoff: I am looking for a "personal" daily dashboard on some sort of "home" page. @John Tarnoff: As it is now, you can only schedule one time block for a given task, by using the task's due date. But scheduling time to work on a task, and scheduling the task's due date shouldn't be the same thing, in my opinion. @Cody: Totally agree with you on your point about the difference between due dates and when you plan to work on things. Two very different things. One hack I was thinking about would be to plan the sub-tasks on the calendar. Then tasks can be split up. Obviously not the best solution, as it also feels very hacky. @Zeb: It would be cool if inbox was basically a dashboard and you could create widgets from your favorites and add them to your dashboard. This would probably require the ability to create favorite views in calendar, gantt and reporting too, because people might want to see that on their dashboard. Use Case: For example I have saved favorites for each space 1) filtered by due date, 1) filtered by start date. I would want both on my dashboard. This way people can create their own dashboards. A future version could be the ability to create a set dashboards for your team and for clients. @Cody: An agenda and inbox are not the same thing in my world. The inbox collects things awaiting assignment (to projects). An agenda is an overview of what's on tap for the day. @Cody: Agreed. Have to admit I'm skeptical of their approach here. Feels as though they really should be two different threads. @Hans Lambert Pedersen: Yes. Big issue. Due date in the future, but want to move it to today calendar to work on it. Not possible yet without changing due date. Is there an ETA on the inbox? Inbox is indeed crucial - and at this point I gather this is pretty close to happening (1/2019). 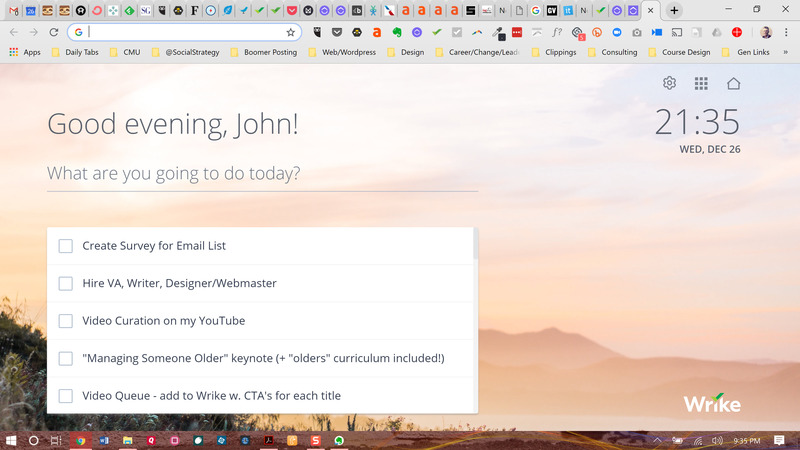 One interesting way to go is this Wrike feature - a Chrome extension that puts a ToDo list in your new browser tab, and that list syncs to a folder in your Wrike hierarchy. So while you're working, you get an idea, you capture it into the list in a new (or open blank) tab, and then process it in Wrike when you're ready to do so. Very GTD. On the other hand, the Wrike mobile app doesn't really cut it. Mobile-first mindset would mean that your phone is the first/most intuitive place to capture the note. Clickup has the nice Note feature right there in the mobile app, but then what do you do with that note...? @John Tarnoff: Todoist Android integration is wonderful on this specific point: you can just pull up a "capture idea" from an icon that you can plant in the notif area, just as "activate wifi" or whatever. It would be nice if I can see a global calendar of all my tasks in all teams/spaces/projects. It would be like a daily/weekly planning for answer "Which tasks do I have to be done?". Global. Today I need to open Team by Team to see. 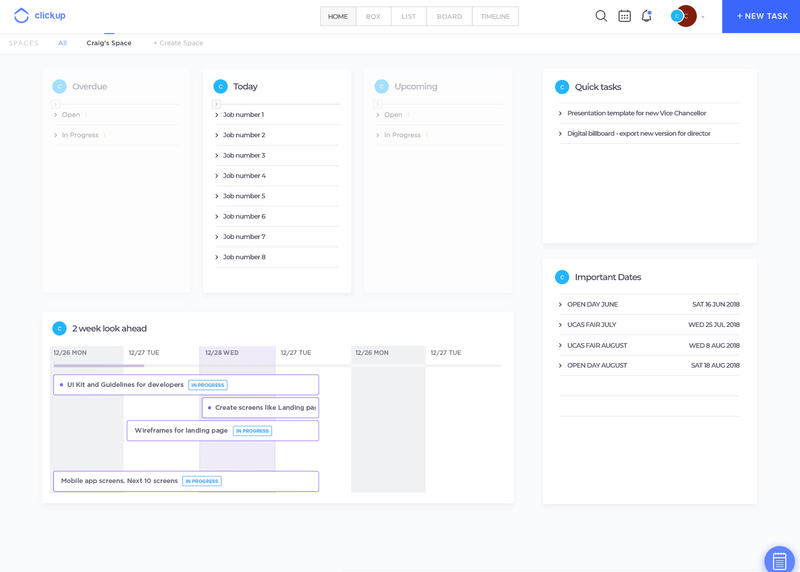 A central dashboard that users can customize to track projects or tasks, see an overview of anything they want, pin tasks, etc. And for each widget, we can customize sorting, filtering, views (gant, list, time, board) and add multiple versions of that widget. I really love Clickup, but I keep drifting off of it because of the extra steps to move something from a self-made inbox. I'm jotting down tasks everywhere again; notes app, paper, trying to recall, haha! Should just be a 'to-process' section that allows the user to easily add a project, list, etc. later on. Counting down the days!! @Matthew Cooley: hey so a temporary work around which I actually find way better, is to make an inbox for every project. This might seem annoying but it’s quite easy. This way you can have things sort of organized instead of having stuff that is apart of so many different projects and not know which goes where. When you break it down and have a inbox for each project, at least you know those items are for that project and now in some cases never need to even take them out of inbox. This is why not having a central inbox does not bother me much at the moment. @John Doe: Thanks for your response! For me, having to think through the correct project (especially whether that project even exists) kills the idea of the inbox. It should essentially be a drop where you naturally and automatically put EVERYTHING; partially-developed tasks, meetings, broad ideas ("figure out the something-or-other"), or notes, and then process them for clarity and next actions later on. It's all about getting it out of your head and into a trusted system. If there is more than one step, you're way less likely to really adopt it. And needing to half-process everything to enter it (picking the correct project) makes it easier to grab a pen. It is the one feature, which I miss in your impressive app! When you are part of different teams, you have to consistently switch teams to view your tasks. It would be nice to have a private centralized view to see all your tasks from all the teams you are part of. With regards to tasks inboxes OF and Asana are the same. It’s just a Name difference. The tasks that get captured (GTD step 1) in OF end up in the OF Inbox. The tasks that get captured in Asana end up also in an inbox called New Tasks. In both programs,inboxes have to be emptied. Tasks have to be clarified and organised (GTD steps 2 and 3) i.e. what is this? Is that a task? Or is that a project? Where do I store this? etc. The next step is how to prioritise these tasks I’ve captured and organised. OF and pure GTD’ers put a lot of accent on Context. In Asana tasks after having been organised, get moved from New tasks to today, Upcoming or Later. If these have dates, future tasks will automatically gravitate to Today on the day they’re due. In ClickUp I use the Sort by Due date to replace My tasks. This works fine too but can be improved by the couple of suggestions I made. i.e. sort by due AND start dates and collapsing sections. When I train users I use the iceberg analogy. The Today section is the visible part of the iceberg. The others are under water and invisible. The whole point is to capture into a trusted system and forget the tasks under water, trusting that these tasks will eventually come to my attention in my Today section when they’re due or when I must start working on them. In the meantime they’re hidden by having future sections collapsed and not distracting. This way works great for me in Asana or ClickUp. But this is not to be confused with the Inbox. A task inbox is just a temporary holding place and must be regularly emptied. In fact, Asana’s My tasks consists of both a Task inbox (New Tasks) and the other sections: Today where I engage with my work - where the Doing happens. And Upcoming and Later sections which are holding places for my future tasks. My no 1 suggestion if you’re talking about Inbox and capturing tasks is to make this process as easy and quick as possible. This is vital. Whether it’s on the mobile app, or in the web app or by capturing email etc. Once the capturing is done I need to be able to go to this Temporary inbox and empty it. That’s it. When that’s done and I’ve organised my tasks (planning) I have to start « doing ». This is when I hit « sort by due date » in Clickup. This is where I do things in Clickup. I’d be really interested in how you can help in that respect. Speed to capture is really essential. No complicated feature required: just temporary and immediate capturing, on mobile especially. Add Today Feature to "Me View"
(Submitted via Email) Add a feature that shows both Due Today and Started Today. Similar to Asana. 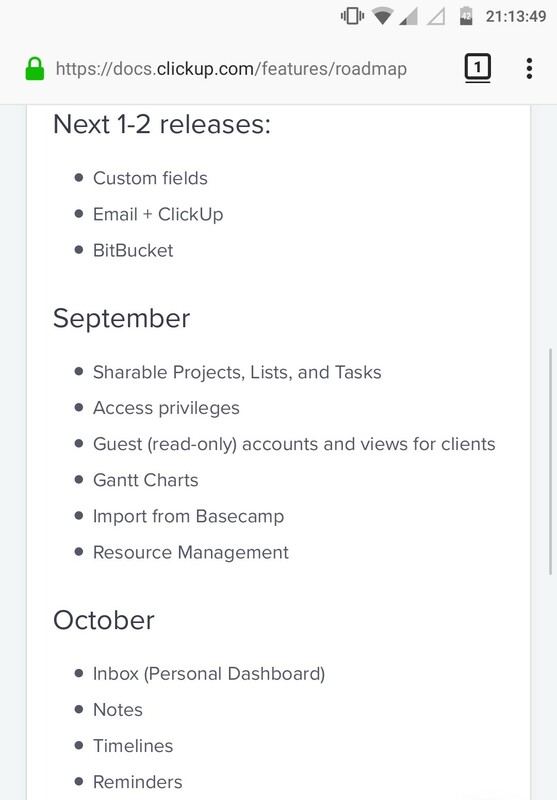 Is this a program management/portfolio view like what Asana has just released ? This may need a separate thread, but when you implement this Inbox feature, can you please incorporate it with your Chrome extension? I think it would be very valuable to have a dedicated "My Tasks" view that can be filtered into "Today", "Upcoming", and "Later" or something similar. This is the bread and butter feature of Asana that my team and I rely on daily. It allows users to assign tasks to themselves, set a status (later, or upcoming), and forget. ONce the task is within a week of the due date, it automatically moves from later to upcoming, and on the due date (or start date as applicable), it moves to today. Before posting this, I looked around the forum and couldn't find a parallel post. Apologies if this is a duplicate, and look forward to your feedback. It would be great to see what each team member is working on. Right now, it's only possible to see what someone worked on today, yesterday, etc. However, what about now? at this moment. In which task the time is being tracked? I currently swiched from Asana and one feature I am really missing is the ability to mark a task as "today", "upcomming" or "later". 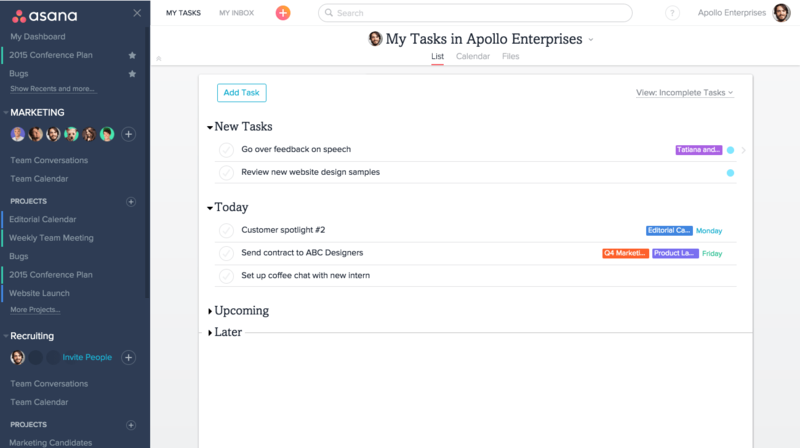 In Asana you have a list of your tasks. Each task has a due date but that is not necessarily the date I want to work on the task. Tasks that have a due date far in the future can be set as "later". These tasks are hidden by default but as they approach their due date, they move into the "upcomming" and then the "today" category. New tasks appear in a "new" category and have to be assigned a "today", "upcomming" or "later" status manually. Every morning I could select the tasks I want to work on and move them to the "today" category. This gives you this very tidy look at your tasks where all you see by default is today's tasks and the tasks that are due in the next 7 days. Since the tasks change categories as their due date approaches the view keeps itself up-to-date. Hi guys! This functionality will be included in our new "Inbox" feature. I'm merging these posts. I understand that there's a task history for each task we have created. However, I can't track back what I have changed previously. This is useful that we can track back what we have done these days, especially when too many projects are going on at the same time. I think most efficient is to create a generic solution which is not necessarily attached to only a user. If you create a page for content or item, such as a contact, a product, a meeting, an event, a project, you want the users to be able to choose their own blocks of mini listings or other mini displays of items. A personal dashboard is for use for the user themselves, but a customizable page can be used as your own dashboard as well as for the presentation of any kind of thing. As it relates to this topic I would love to have team dashboard and a me dashboard. As I start to think about how much of business runs like a dang schoolhouse, it would be cool to have this sort of "homeroom" place where any info / reminders can live/ people that are going to be out today/this week. Group announcements, yada yada and then like a "daily top 3" where team members can quickly type in their 3 things they will accomplish that day, or whatever. Y'all are amazing and I'm excited for this! Thank you! I'm a member in multiple teams, and I want to see all the tasks assigned to me on one surface regardless of team. Right now I have to switch between teams to see what tasks are going on. YES! Just a top level collection box. @Amanda Jose: Where is this screenshot from? From support ticket: the main thing would be to get stuff in clickup on MacOS when I am not in the App, that would be the idea of an inbox. 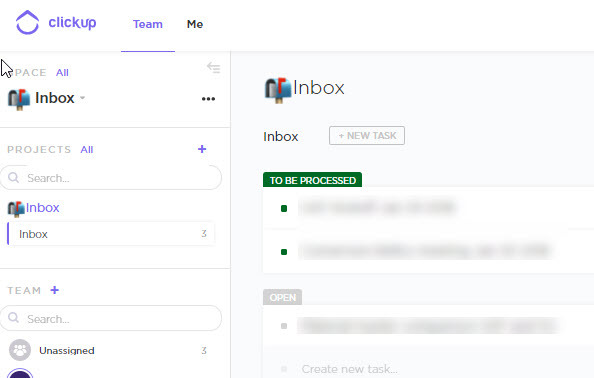 Implement a centralized, non-team-specific inbox that one could use to dump tasks awaiting processing into the proper Team, Space, Project and List. One thing I love about wrike was the custom dashboards. And the ability to have multiple dashboards that I could keep private or share with others. @Danielle Moore: agreed. I also found the dashboard very useful and customizable. I liked the fact that items could be moved between lists in the dashboard page. I was also able to create multiple dashboards have share them with the team, or leave them private. For notifications there are two streams of information, what other people are doing and what I'm doing. A really important question you have to answer, especially if you work in Scrum is 'what did I do yesterday'? The question can often take a lot of cognitive load to answer, especially if you're really busy. Being able to see every thing I 'worked on' yesterday would help to activate your memories to recall for your standup or other daily meetings. @Jorgen: Thanks Jorgen, that's really great to know I had no idea that was there. To be honest, I never use Box view at all. Between Board & List there are already a lot of 'views'. I can definitely use that, but I guess I was for hoping for something that is like a personal dashboard. I know that's coming up in the roadmap so it would be great to see this integrated into that. @Ryan Haney: =) Absolutely! I'll be merging this thread into that one. I would love to see a my week view with today past upcoming and done tasks. And the ability to switch from previous week to next week. Is that all it does or has it been updated since then? On that page it shows that it just essentially lists task in order of Due Date. Any additional information you can provide would help us look into this further, thanks! @Zeb: Hi Zeb! Thanks for the reply. The key part is that it forces you to focus and actually address each task in one of four ways: Today, Tomorrow, Done or Delete. You do that one by one for all the tasks for the day, so nothing slips through the cracks. I think such a module would be powerful for ClickUp as well to review ongoing tasks and make sure all information is up to date across the many boards a team might have. Aside from tackling tasks that are due soon, you could create a sister feature that takes you through tasks that haven't been updated in ages, or tasks that are unassigned. And yes, I know that you can use filtering and sorting to perform such tasks, but I think it's very powerful when the app forces you to go through tasks one by one. And Any.do does it in a visually pleasing way, too. I'm sure ClickUp can do it even better. @Jakub Grajcar: Awesome, thanks for the help Jakub! I think our Inbox feature will solve this problem, but to be sure, I've added your feedback to the product notes to make sure we accomplish something similar. Thanks again! @Denis: Seconded. Todoist does this pretty well, and has Machine Learning implemented to learn your habits over time. Would be great. But I'd also be cautious of how many batch changes this could implement. A way to access change history and undo it for the whole batch would help avoid mishaps. If you view All Spaces, can you not accomplish the same thing there? You can even sort and filter in different ways and batch edit the tasks. @Geoff Ball: It's a way to do it manually, but Any.do's Moments work a little differently. It's a separate module that takes you through your tasks one-by-one, forcing you to focus and decide. I really like that. I agree with @Michał A. Nowakowski: compact time view (or dashboard) is different from inbox => I don't understand why the 'compact time view' request has been merged into this one. @Zeb: could you share some light on that? @Thomas : Our implementation of Inbox will indeed accomplish the same thing as a time view visually in a list. @Zeb: OK, great, looking forward to it! Will it also achieve the other objective (quick capture as in GTD)? From a client suggestion: A "dashboard/homepage" with all elements currently available (and some that are still yet to come such as time view). This setup would help declutter and allow you to focus on current jobs and still see everything at a glance. @Wes Brummette: Great mockup. +1! @Wes Brummette: this looks fantastic!! @Wes Brummette: This looks great. Is "quick tasks" a universal inbox for quickly capturing tasks before sorting/moving them into projects? @Wes Brummette: Looks great. Would even be better if you could decide individually which elements are located where in the screen. @Wes Brummette: Great mockup, Wes. This would be a big "missing piece" filled with ClickUp. Will we be able to filter by spaces? The ability to multi-select spaces so we can see the priorities of the spaces we choose would be awesome (as compared to only being able to view one at a time or All)! I'm glad you like the mockup. It looks like Wes has kindly uploaded this for me as I was unsure where to put it. @Wes Brummette: praise hands.... this is awesome, you should also check out tixio.io for some inspiration and thoughts on additional things that could go in. being able to setup multiple dashboards with all task related stuff like you have here is awesome and then a dashboard full of "resources" would be sick too... like a space with your top ten google sheets used, then one with key dropbox files, or links to time off requests, bla bla bla build your own kinda things. Hi @Zach Snader, Is there an idea yet when the dashboard idea can move from planned to working? This is the missing piece in regards to planning my day/week, and I think that may be the case for many others as well. Thanks so much! @Michael Holt: Hey Michael! We believe that most of the use cases for this particular feature will be solved with our "Inbox" feature (personal inbox) that we're starting development on end of this month. If, for some reason, that doesn't solve your use cases, then we can revisit this feature! @Zeb: sounds great. Looking forward to it! I think "My Day" view or dasboard is something different from inbox. You can have a review or make decisions form "My Day/Dasboard/Assigned to me" view but inbox is just an inbox: any unprocessed items (emails/links/random thoughts/notes/request from external sources/…) go there to be processed. At least daily, ideally every few hours. You don't work from inbox, you process it to have clarity. @Michał A. Nowakowski: I agree. And I like the idea of an inbox, but a “My Day” or dashboard view is so much more important to me. Right now my team is finding it difficult to plan what tasks they’ll be working on that day, decide which are “on deck”, etc. @Jess Mason: Your point is valid. I just wanted to point out it's not a good idea to merge post with inbox and dasboard together because they are separete features. @Michał A. Nowakowski: I totally agree! @Michał A. Nowakowski: I agree. I would love to be able to see everything on my plate for the day across all projects and manually sort it. It would be lovely to jot down tasks that we want to accomplish without needing to attach them to specific projects/lists. At the moment there is a 'dashboard' in the 'planned' phase, I'm assuming it would go there, so maybe you'll need to merge this request with that one. But just in case it isn't, or it's considered different, I wanted to put it out there. These tasks would need to be, by default, assigned to yourself and private. It would be an extra bonus if you could assign the task to someone else and have it still not attached to a project/list but I guess I'm being just super needy at that point. If you didn't want to wait until a full-blown dashboard is created, you could have a "Personal Space" show up at the Space level? I feel like that may be a nice quick fix? And maybe just have it as a ClickApp so as to not make it messy for those who don't want it? That's what I've done to solve this issue, but I'm sure many would love to click a button and viola, you have a private little list that can be seen alongside the rest of your tasks. You need a way to capture items (inbox for GTD) as a hold before deciding if its a task, concept, project, schedule, etc. Ability to Postpone tasks to later date. It would be nice if the clickup has the ability to postpone tasks to later date. What I'd like the most out of this is to prioritize tasks on a personal level. I may have 15 Urgent tasks assigned to me, and I'd like to be able to sort them further into categories like "Now", "Next", "Later". Similar to Asana's Today/Upcoming/Later layer. @Jakub Grajcar: Yes, exactly what I’d want, too. @Zeb When will the new Inbox be implemented? It looks like we'll be starting development of Inbox next month I can't say exactly how long it will take until we dive into it. @Denis: Any update on this feature? Thanks! @Zeb: Any update on this feature? Thanks! @Denis: awesome! Thanks so much :) Glad to see this. I think something like a default list would be the better option. So you can name this list in your own language and it must not be named "Inbox"
Besides this: 2-way sync with the Google Calendar also needs a default list, so tasks created in the Google Calendar can be created in the ClickUp "inbox".. this part is not working yet! While there's a function to view all tasks (in all Spaces and Project) in Box and List view, it requires too many clicks. We have to go to All Spaces > All Projects > Filter. It would be better to have a homepage where all tasks assigned to you are viewable automatically. I find that Calendar view simply isn't enough. Something similar to Asana's My Tasks would be great. Yes! My team is struggling with the idea that in Board view, they can't view all their tasks in every space & project. They'd like to be able to see everything assigned to them in the board view because they're moving from a Trello system. Also please include in the mobile app. Then it would be a true replacement for Todoist and other mobile apps that provide a personal prioritized filtered todo list. At this point the app is less usefully because it requires going in and out of spaces and projects and lists to see tasks. The web-app is just about there but the mobile app is lagging in usability. Last minute ’checklist’ for recording quick turnaround tasks that don't require in depth attributes. Yes! This is my number one request after using ClickUp for a week or so. Other than that, i'm loving it! It would be good to have the ability to mark Tasks as completed right inside the Inbox. It would be helpful to see all my upcoming tasks/subtasks across teams as well. Switching between teams works, but as I use this for more and more teams, it would be helpful to have everything assigned to me in one place. Yeah, that would be great. 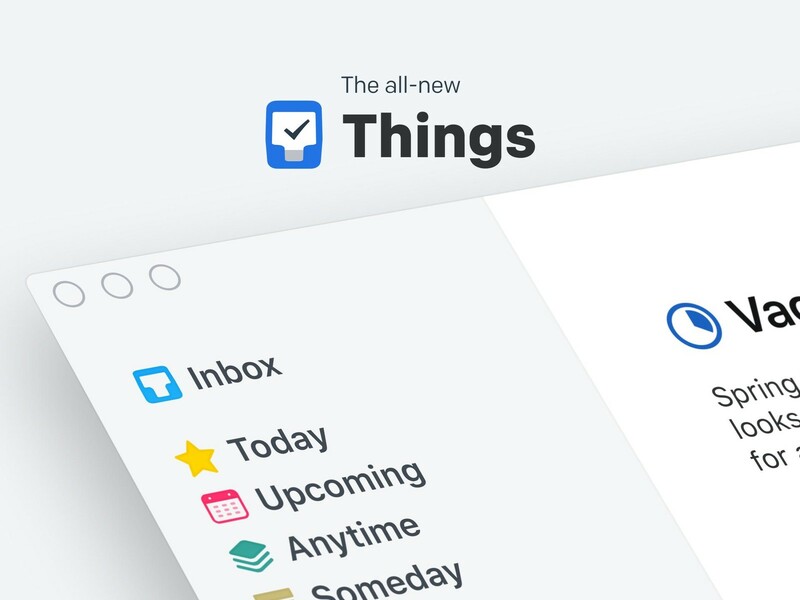 👍🏻👍🏻👍🏻 Ideally 2 inboxes: Personal Inbox just for me (to quickly list all brainstorming to going on, with current solution I have to thin k to much about every task I enter and ideas are running away drom me), and Team Inbox for the whole team. 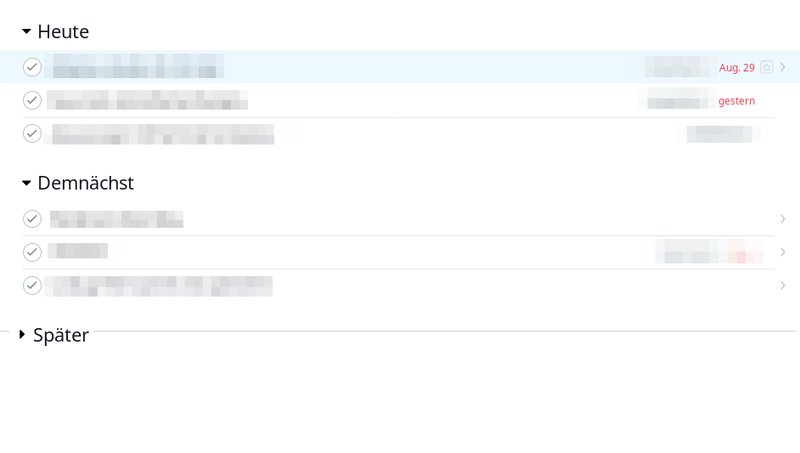 I think Todoist Business has a team inbox where all team members can see the tasks dumped there. @Michał A. Nowakowski: Yep, Todoist has something along those lines. As a former Todoist user, I wish it was a bit more integrated with my agenda. We'd love to solve that problem. It can be a bit tricky to get an overview of all tasks, sub-tasks, assigned comments and checklist items assigned to you. It would be great if you could make that easier. In that process, it would be great if you could include subtasks and checklist items on tasks where you are assigned. Should help you get an overview of your workload. Asana does this very well, in that automatically adds in all of your tasks due that day across all projects, but you can choose to move them to "upcoming" or "Later" sections if you don't want to deal with them at that moment, and you can also re-order them as makes sense to you. Something along those lines would be more useful than the Box view, which I still don't really understand to be honest! I guess the best option is to customize lists on it. BOX function is not enough at all. I'm going to copy this post and split it into two requests, one for a dashboard and the other for automation. I'll merge each request into its unique parent. If we could have dashboards as customizable as JIRA's, that would be funtastic! @Pascal Zweipfenning Hey Pascal! Would a default List work for this? If we allowed you to set a default list for all tasks? ?? @Zeb: Hi Zeb, currently I have implemented this by having Zapier sent new Evernote notes to a Space/Project/List called 'Inbox/Inbox/Inbox'. I guess this works, but I would would rather like to see a kind of way that Facilethings has implemented this as a separate (not sure how to call this) page within the app, which can always be reached. The inbox would need to be Space independent. When something ends up there you still need to determine in which Space, project or list would need to be moved, which status it needs to get or any other tag, due date, start date etc. you would want to set. This Central Inbox would then also collect all the tasks sent by email to Clickup. @Pascal Zweipfenning: We're working on a new personal inbox that floats in the bottom right-hand of your corner, along with Notes and Agenda for the day. The problem here is that your team cannot see it, only you can see items in your personal inbox. Is that a problem for you? @Zeb: I'm using Clickup for my personal productivity so this is not an issue for me. I can imagine that a real Team would like to have a kind of Team Inbox. @Pascal Zweipfenning: Got it, thanks Pascal! @Zeb: This right here is the ticket. An agenda would be perfect to highlight upcoming/due tasks. Nailed it. @Pascal Zweipfenning: Team Inbox - Great idea! @Zeb: Like @Pascal Zweipfenning I have set up an Inbox/Inbox/Inbox to accept tasks quickly that I can later process. If that could be made my default List, on desktop and mobile, it would work for me. @Pascal Zweipfenning: Happy to see another FacileThings user. Its "Process" process/screen is also the best I've seen in any GTD app. @Martin Gammon @Michał A. Nowakowski Excellent feedback and ideas, thank you both for sharing. @Zeb: It would be great to have such thing on the bottom right-hand corner. I encountered the same problem, because it´s not possible to have a Top-Level folder where you can put in tasks. You have to create a Inbox (Space) > Inbox (Project) > Inbox (List) and then put in the Inbox-tasks. A Team Inbox would be an idea, but I think it´s not that important because the Inbox (as defined in GTD) is only to put in your ideas. Once a day you should empty your Inbox and order the tasks into the proper list. This would make the tasks visible for the Team members again. @Max Fabi: Valid point, but GTD by definition is *personal* methodology so GTD inbox has to be personal :) Although a lot of tasks should and go to personal inbox, I think that quite a lot of tasks enter "team space", (e.g support tickets, form submissions, emails sent to general address) and are assigned to particular members afterwards. 1. You're on the road, and quickly want to make a task. Just a reminder. Every details you do later in the office. With the present solution, this is so many clicks. I still send myself a message to solve that. ---> But a ClickUp inbox would actually the better way. 2. Let's say you work with external people. They also use click up. But they are not your employees. You can give them a task, but only they will decided, when to do that. And you maybe would like to know, when they have scheduled that. ---> Again a personal inbox would be the solution to that. @Pascal Zweipfenning: Team Inbox - great idea. Several people can pick tasks out of it and asign it to themselves. @Johannes Krueger: Inbox is on the way, currently scheduled for Winter! @Johannes Krueger: I agree with this method being the best. Personal & Team. Yes we have Me & Team Views but these inbox features do help. We also track what we refer to as one-off tasks. Sometimes tasks don't fit into a project and are just that a random quick task that can be personal or can be part of the team. that would be really really helpful for our team! we get dozens of tasks from phone call of our clients and having that will save a lot of time. also, a default due date of the same day that the task is being created if no other date is picked. so that the tasks never fall in NO DATE space which makes things fall through the cracks. I have this same issue and would love to see a more comprehensive view. As a freelancer, I’d like to see this as a way to see my to-dos and statuses of all spaces. 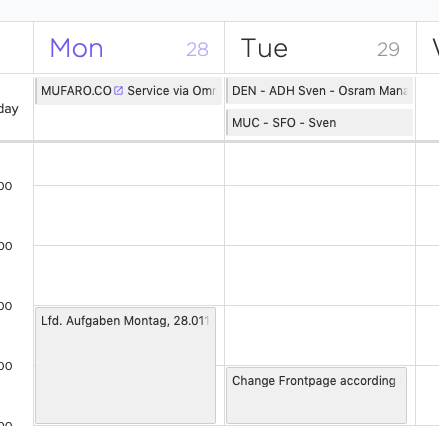 Integrating a calendar view would be helpful, something like a weekly to-do. @Abbie Friesen: Yes, that's exactly along the lines of what I was thinking! Even a space to write in a goal or something would be cool.